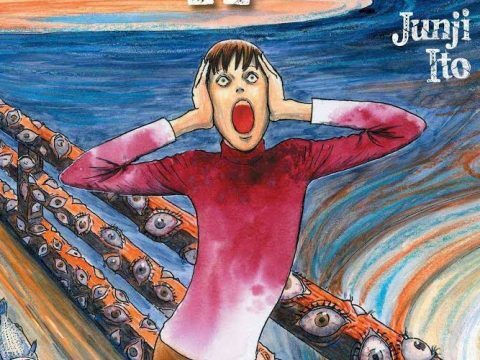 It’s been a while since we had a new work from acclaimed horror mangaka Junji Ito in English. It’s been a while for Ito, too, apparently, as even he says he was shocked to learn it had been eight years since his last collection of horror stories. 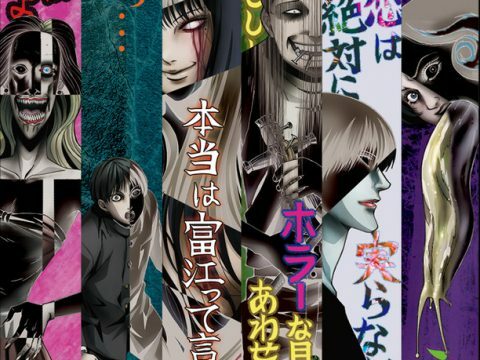 In 2006 he released Shin Yami no Koe Kaidan, and now the mind behind horror manga classics like Uzumaki, Tomie, and the more recent Gyo is back with Fragments of Horror. The results are, as expected, twisted, nasty, and a whole lot of fun. 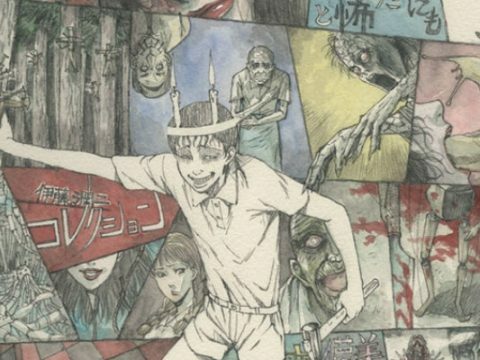 Most manga authors who either dabble or dive deep into horror have their own unique style of gross-out art, but Ito’s is truly special. 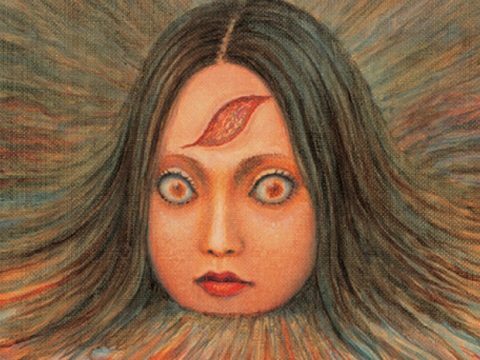 His hellscapes and cackling close-ups are equal parts gruesome and gorgeous, like an even meeting between the worlds of Suehiro Maruo and Hideshi Hino. They’re on full display from the get-go in Fragments, with the first story, “Futon,” ending on a two-page spread so fun to stare at it made its way to the cover slip as a translucent gloss overlay. The stories that follow hit a variety of horror high notes, from the oddball eroticism of “Wooden Spirit” to the hysterical mania of “Dissection-chan.” There are some instant Ito classics in this collection, but for me the standout hit is “Blackbird.” This entry follows the unfortunate fate of a man who gets injured while hiking in the woods. 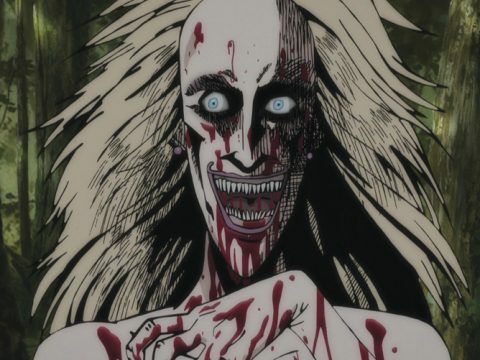 Though his body remained twisted and unmoving for a month, he managed to survive thanks to a bizarre woman who would occasionally appear to feed him bits of meat, mouth to mouth, just like a mama bird. It gets creepier from there, making it the story that I still can’t get out of my head over a week after first reading it. I’ve already said too much, and it would be a mistake to spoil any of the other nasty treats in Fragments of Horror. One other note of interest is the way Ito’s afterword shines some light on the importance of editors in comics. According to Ito his first few cracks at the opening story weren’t quite cutting it, proving that even a seasoned, revered veteran can have some trouble shaking off the cobwebs. 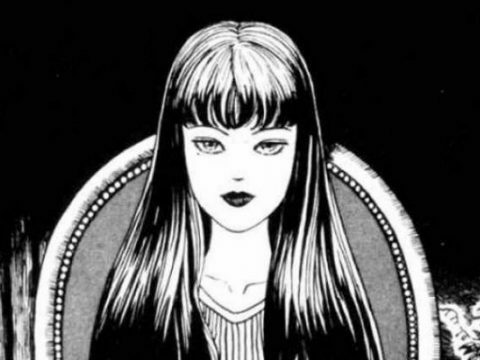 Viz’s hardcover release is a fantastic way to bring Ito back into our lives, so be sure to pick this one up if you’re hankering for some timeless tales of witches, weirdos, and whispering women.